If you want the best view, you'll find it in the expansive bow seating of the forward lounge, which sports a built-in insulated cooler. Relax and socialize with friends around the adjustable bow table, which removes and stores easily for even more space. Alternatively, the bow can be completely sealed off with the center door and windshield. As the first of its kind, the windshield silently slides open or closed, with the push of a button, and a mere 12 volts. No pumps, no hoses or fluids, no hydraulics. 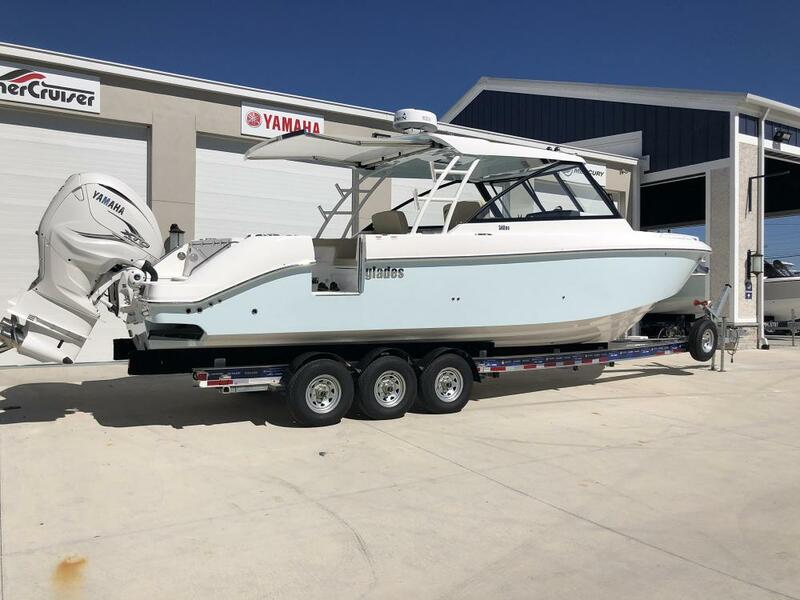 I'm interested in Everglades 340 DC Yacht! 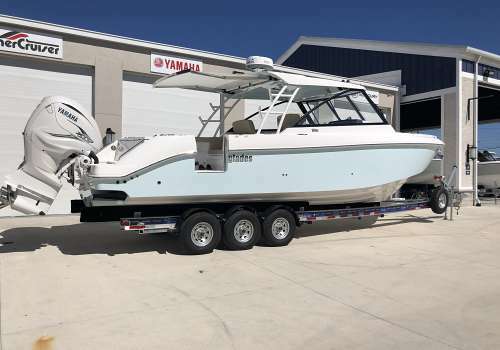 TGYG Everglades Specialists are here for you to answer your questions about this Everglades 340 DC. At TGYG we work tirelessly to deliver a first-class boat buying experience!